Comics, a term sometimes used interchangeably with cartoon, sequential art, and graphic fiction, encompasses an incredibly varied body of work. Attempts to define comics have had to grapple with the fact that comic art partners words and images in vastly different ways (from purely pictorial sequences to segmented texts with corresponding illustrations). What’s more, comics encompasses a variety of genres (fiction, nonfiction, essay, autobiography, biography, historical, journalism, “art comics,” etc. ), and is disseminated in a number of different forms (web comics, comics blogs, comic strips in newspapers or magazines, comic books, and graphic novels). Comics also range from what might be called “low brow” production to self-consciously literary and artistic work. Chris Ware has called comics a “convergence of seeing and reading,” and Art Spiegelman has termed it “writing with pictures” (Brunetti, 7). 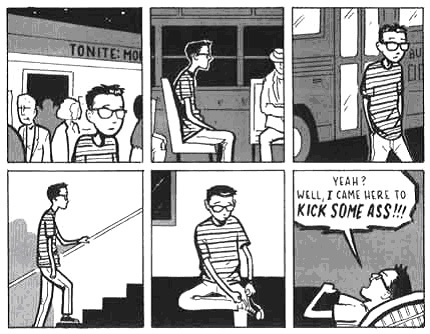 Scott McCloud’s treatise on comics and its characteristics, Understanding Comics, has become something of a classic text for critical work on comics. McCloud defines comics as “juxtaposed pictorial and other images in deliberate sequence, intended to convey information and/or to produce an aesthetic response in the viewer” (20). This definition, McCloud notes, excludes single-panel images such as “Family Circus” or “The Far Side,” many of which would normally be termed comics. He argues that such images are more properly termed cartoons; comics is a language, and happens when two or more panels work together to contribute to a whole. Some scholars reject the term comics itself, observing that not all graphic storytelling is necessarily humorous. Analyses of comics and artists’ reflections do agree on one point: comics is not simply words working alongside pictures, and it’s not “really” writing or “really” art. Comics is neither and both simultaneously—a medium in its own right. Ivan Brunetti has expressed this idea by saying that rather than being a mixture of words and pictures, comics is an emulsion (7). 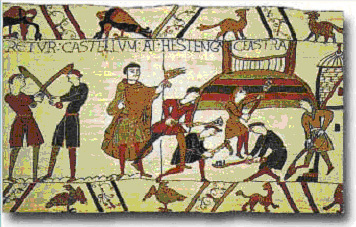 McCloud traces the history of comics back to works such as the Bayeux Tapestry, which uses text and images to narrate the Battle of Hastings in a series of episodes. Other examples include Egyptian tomb paintings, Trajan’s Column, European stained glass narratives, and William Hogarth’s “A Harlot’s Progress,” but the man most often cited as the father of modern comics is Rodolphe Töpffer, who in the mid-1800s used words and images interdependently to create what he called “picture stories.” The first of these satirical stories, Histoire de M. Vieux Bois, consisted of 30 pages which each contained up to six captioned panels. British satirical and caricature magazines continued to distribute the comics form, and just before the turn of the 20th century, newspapers began publishing “the funnies” regularly. Especially popular during this era was “Hogan’s Alley” and “Li’l Abner”(Sabin 133-4). 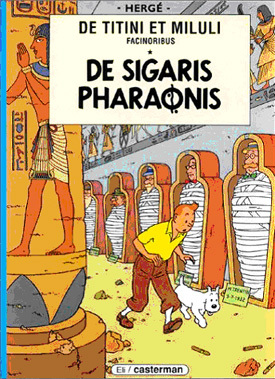 In 1929, Adventures of Tin-Tin debuted in Belgium. Beginning in the 1930s, superhero comics such as Superman, Batman, and Flash Gordon became widely popular in America as well as in Europe. After World War II, Japanese manga artists began developing a distinct national style of comics narrative. In the 1960s and 1970s, artists such as Robert Crumb and Art Spiegelman developed underground comics (or comix) that approached the medium in experimental ways and dealt with darker or more taboo subject matter than superhero and newspaper comics did. Recent “art comics” continue this tradition, often producing comics that narrate scenes from ordinary life, addressing themes of alienation, relationships, politics, and memory. 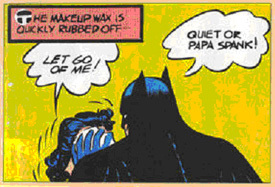 In the 1960s, pop artists adopted a comics aesthetic by using the Benday dots, halftone techniques, primary colors, and bold lines common in mass-produced comics. Pop art arose when a number of artists became interested in the images of mass media, advertising, comics and consumer products. Roy Lichtenstein, one of Pop Art’s emblematic figures, reportedly had the idea to paint using the visual language of comics when his son pointed to a pulp comic of Mickey Mouse and challenged him that surely, he couldn’t paint as well as that (Lucie-Smith 320). Lichtenstein used a comics aesthetic to produce canvases that seemingly represented an isolated panel in a larger story typical to mass culture comics, as in Whaam! ; later, Lichtenstein used the same aesthetic to represent the fine arts as a subject matter, as in Brushstroke with Splatter, which shows the creation of a gestural abstract expressionist painting. Pop Art saw mainstream “pulp” comics as a particularly fascinating example of mass-produced cultural objects—Lichtenstein and other artists were interested in comics mostly for its surface aesthetics and its cultural status as kitsch as opposed to fine art. While certain comics certainly function as emblematic of kitsch and mass media in the American imaginary, as a medium, comics holds much more potential and range than a particular surface-level aesthetic. Very recently, comics fans and scholars have concentrated on articulating the ways in which comics functions as a medium. One characteristic of the comics medium is its exploitation of the cartoon—that is, the pared-down, abstracted representation. McCloud notes that comics artists have a range of representation to work with, which varies from the extremely realistic pictorial representation that closely resembles nature, to the less detailed, schematic cartoon, and even to the most abstract meaning-producing configurations of ink on paper: words. He uses realistic and iconic to denote the two ends of this spectrum. Furthermore, McCloud argues that the cartoon, by virtue of its greater iconicity and abstraction, is something we are compelled to identify with. “By de-emphasizing the appearance of the physical world in favor of the idea of form, the cartoon places itself in the world of concepts,” McCloud explains, “Through traditional realism, the comics artist can portray the world without—and through the cartoon, the world within” (41). Comics artists have exploited this correlation between the realistic/objective and the iconic/subjective in effective ways: main characters with whom one is to identify are often drawn more schematically, as a cartoon; on the other hand, other characters or villains can be drawn in great detail, which has the effect of objectifying them as “other.” Likewise, when a setting is particularly important to the storyline, as in Tin-Tin’s world adventures, the background can be drawn in great detail, while the characters are drawn more simply to assist reader-identification. Eisner describes in great detail the ways in which the image of the words can add another layer of affect or meaning to their content: lettering that oozes or dribbles down the page can add to the chilling dialogue in a horror story; evenly spaced and rounded lettering can give a sense of calm and clarity to words used in comics, and their size can create a dynamism of “volume” or emphasis. Words in comics introduces sound into the narrative (whether via explicitly onomatopoeic words or dialogue), and thus time. Space also functions as time in comics; artists can dilate time by replicating a series of panels in which there is very little change, by literally lengthening the panel containing a single image, by invoking the timelessness of a silent and temporally ambiguous panel, or by using “bleeds,” in which a scene runs off the edge of a page, unenclosed by the bounds of a panel border. The sense of time in comics is a complex reading task, as the reader takes cues from dialogue, panel spacing, actions, and character body language. Indeed, comics is an extremely “cool” medium in the McLuhan sense, requiring great reader participation in meaning making, and being on the whole low-definition and iconic. For this reason, McLuhan claims that comics offered a useful approach to the understanding of the TV craze phenomenon. He attributes a decline in comic books to the direct competition offered by TV as a medium (164-6). Perhaps the “coolest” aspect of reading comics is the interpretation of continuity between panels—the reading of the “gutter.” Because the connection is not made explicit for the readers, comics rely on readers to enact a Gestalt closure in order to make meaning. That is, readers must look at parts and imagine a whole. In electronic media, closure happens constantly, as the eye registers 24 frames per second, perceiving them not as discrete scenes but as one continuous event. In comics, however, closure operates in a much more deliberate way, and creates the sensation of change, time, and motion in sequential narratives. McCloud has differentiated six different panel-to-panel transitions, which require six different degrees of closure from the audience. Moment-to-moment panel transitions, for example, show two scenes that are very similar and across which very little change has occurred. This requires a minimal amount of closure from the audience. On the other hand, a greater amount of closure on the part of the audience makes meaning out of a ball mid-air near a man with a bat, followed by a man standing with his bat swung to the far left. McCloud diagrams the occurrence of certain types of transitions across a wide sample of comics, and comes to the startling conclusion that Western comics use a rather narrow sampling of transitions: action-to-action, subject-to-subject, and scene-to-scene. That is, Western comics use transitions that denote completed actions. By contrast, Japanese comics use a far greater amount of moment-to-moment transitions. They also use more aspect-to-aspect transitions, in which different panels will survey different aspects, views, or parts of one simultaneous scene. The effect is instructive: the use of these slower transitions work to set the scene, create atmosphere, and invoke a more contemplative tone. In many senses, the artists’ use of the comics medium is an exercise in synaesthetics. Through formal elements such as line and color, as well as more complex visual cues, comics can convey sensations of temperature, motion, affect, and paralingual cues normally occurring in the auditory register. The medium of comics offers an interesting case for the problem of word and image, which according to W.J.T. Mitchell, is a basic but problematic division in human understanding of representation (47). Comics requires and demands a much more fluid boundary between word and image, as readers are called upon to glean meaning from pictures and see texts’ visuality. Comics insists that word and image are not reducible to one another; they speak a hybrid language that one contributor or the other cannot fully approximate in translation. It is a medium not only of sequential narrative, but of the “irregular, heterogenous, and often improvised boundaries between ‘institutions of the visible’…and ‘institutions of the verbal’” (Mitchell 49). Now mature as a medium, comics has also developed its own Piercian symbols: flies  circling over a nondescript heap describe the heap as having a rotten odor; birds circling around someone’s head describe the person’s psychological state as dazed and disoriented; likewise, tightly parallel diagonal lines superimposed on the region around a character’s eyes signifies embarrassment or blushing. McCloud’s and Eisner’s insistence that comics is a medium in its own right speaks to its potential fertility for explorations of the borderlands between word and image. 1. Even flies themselves have evolved into a symbol: a black dot with something like parentheses around it is understood to signify a fly. 2. To be sure, there is a healthy body of scholarship on comics. The bulk of this work, however, comprises histories of comics, genre-related arguments, or analyses of characters and themes. Brunetti, Ivan, ed. An Anthology of Graphic Fiction, Cartoons, and True Stories. New Haven, CT: Yale University Press, 2006. Eisner, Will. Comics and Sequential Art. Paramus, NJ: Poorhouse Press, 1985. Lucie-Smith, Edward. Lives of the great 20th Century Artists. 2nd ed. London: Thames & Hudson, 1999. McCloud, Scott. Understanding Comics: The Invisible Art. New York: Kitchen Sink Press, 1993. McLuhan, Marshall. Understanding Media: The Extensions of Man. 1964. Boston: MIT Press, 1994. Mitchell, W.J.T. “Word and Image.” In Critical Terms for Art History. Eds. Robert S. Nelson and Richard Shiff. Chicago: University of Chicago Press, 1996. 47-57. Sabin, Roger. Adult Comics: An Introduction. New York: Routledge, 1993.